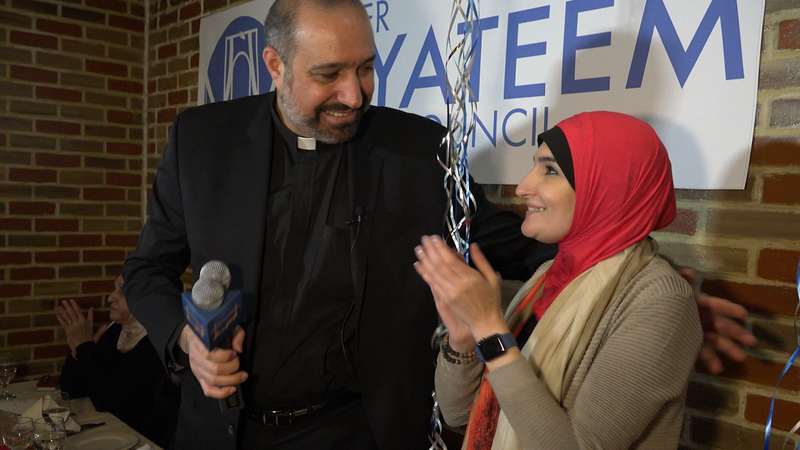 Khader El-Yateem, an Arab American Lutheran Pastor, originally from Palestine, and Linda Sarsour, controversial Muslim activist, came together in the wake of President Trump anti-Muslim, anti-Arab ban. They could no longer remain silent. Reverend El-Yateem ran for public office as the first Arab American to ever run for NYC Council Seat. Estimated at 40,000, the Muslim-majority Arab population in Bay Ridge, Brooklyn, rallied behind their socialist Pastor. The documentary follows the drama of his candidacy. Special Thanks To: Team El-Yateem, Marcia Rock, Aviva Slesin, Tsering Wangmo, Emily Okuda-Overhoff, Miles Kilcourse, Democratic Socialists of America. Palestinian filmmaker Ahmed Mansour was born and raised in Gaza. He decided to follow his passion in filmmaking to tell the untold stories at a time the line between good and evil is becoming hard to recognize. He came to New York City to study filmmaking at NYU. He is using cinema verite style in “Brooklyn Inshallah,” as a way to give authenticity to the epic story.